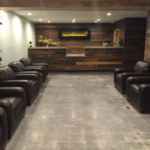 Beverly Alternative Relief Center is a Los Angeles Pre-ICO not-for-profit medical cannabis collective, well renowned for its excellent customer services. Established in 2006, for many years the BARC collective was known as Canna Care Relief, however, the collective has undergone some rebranding but has preserved the same level of client service. BARC strongly believes that there's nothing more important than health and wellness of its patients, so the collective aspires to provide only the finest, organically grown marijuana strains. The dispensary supplies upscale Sativas, Indicas, and Hybrids including some award-winning marijuana strains from the most reputable farms, CBD topicals and concentrates, and high-quality clones by Midnight Farm that allow growing plants at home. For BARC all its customers are part of the family, so the collective tries its best to create a friendly and welcoming atmosphere so that the patients could always feel welcomed.